A sweet little shelf, perfect for by the front door. Phone. Wallet. Keys. Sunglasses. 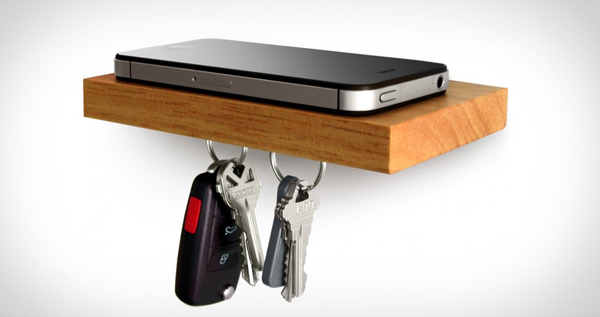 Put all your essentials on this small floating shelf with a magnetic underside. The magnet is on the bottom only and does not affect anything placed on the shelf.